May to October and all year in mild winters. 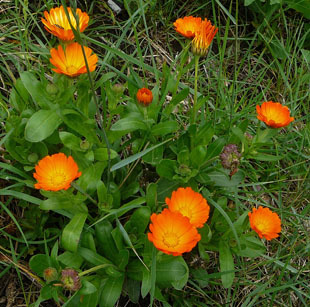 Marigolds are widely grown in gardens throughout the country. 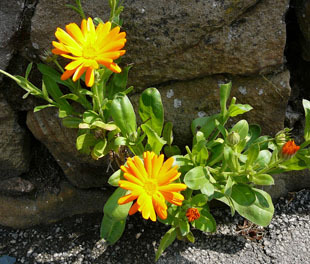 Marigolds grow on walls, waste ground and rubbish tips. recorded in the wild until the 1870s. 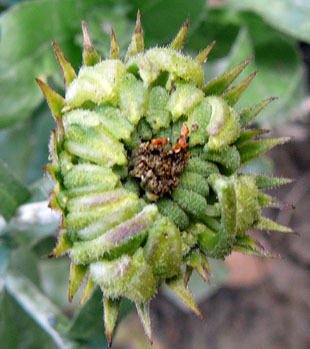 annual herb, growing up to 80cm. 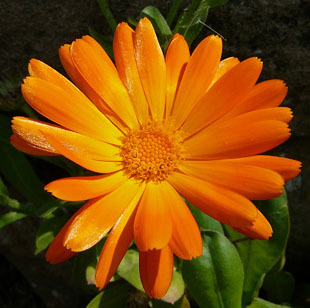 The flower heads are orange and up to 7cm across. 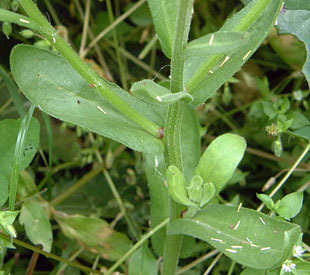 Leaves are oblong and usually broader at the tip.